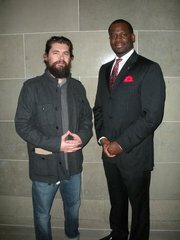 Clem Smith is a Communist Party USA affiliated Democratic Missouri State Representative. 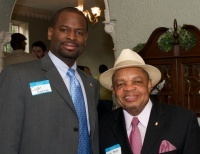 As a lifelong resident of the St. Louis area, Clem Smith was raised to be an active member of his community. At the age of nine, he accompanied his father to a demonstration against a department store chain because of their discriminatory hiring practices. From that moment on, he knew he would have to be involved to make a difference. Smith’s long family history of community involvement in the district began when his grandparents moved into Velda Village Hills in 1970 and his grandmother setup a neighborhood watch. Since moving to the 71st District Clem has continued family tradition. 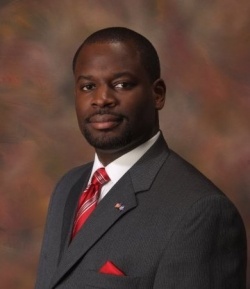 He is an active member of the Normandy Township Democratic Club and was elected as an Obama Delegate to the Missouri Democratic Convention in 2008. His other memberships include the NAACP, Young Democrats of St. Louis, Multiple Sclerosis Society, and North County Labor. Clem Smith is a Berniecrat, is a term used for those democrats (generally) running for office who have expressed support of former presidential candidate Bernie Sanders. In 2008 Clem Smith, member of CBTU; member of UAW Local 163, St Louis, MO signed a statement circulated by the Partisan Defense Committee calling for the release of convicted “cop-killer” Mumia Abu-Jamal. "Government has a responsibility to assist people in these hard economic times," former United Auto Workers member Clem Smith told a crowd of about 150 protesters on the Missouri state Capitol steps here March 4 2010. Smith, now a machinist employed at Boeing, knows "first-hand the positive role government can play in creating job opportunities for the unemployed". In May 2009, like thousands of other Missouri Chrysler employees, Smith was laid off. "After 13 years of loyal service," he told the Communist Party USA's People's World, March 5, 2010, "I was unemployed. I looked for a job. I got my resume in order. But there were no jobs." Fortunately for Smith, he was able to get into a state-funded training program run by St. Louis Community College that "allowed my auto work experience to translate into aerospace work." After being accepted into the jobs training program, Smith attended 10 weeks of training at the St. Louis Career Center. "It is precisely these types of government-funded training programs that can help the dislocated, the under-employed and the unemployed get back to work," Smith said. "It is precisely these types of programs that can provide the jobs that can get our economy back on track, not corporate bailouts." Tony Pecinovsky has worked as a union organizer, advocacy journalist and District Organizer for the MO/KS Communist Party. In 2010 he served in the following capacities: secretary-treasurer, Greater St. Louis CWA City Council; secretary, St. Louis area Jobs with Justice Leadership Team; St. Louis area Pro-Vote board member; and the St. Louis Newspaper Guild. "In other words," freshman state Rep. Clem Smith, D-71, told the Communist Party USA's People's World, Jan. 7, 2011, "Republicans want to give tax breaks to the rich. They want to let corporations have free rein. They want to weaken unions. And they want to destroy our social safety net." "How is that a 'change' in culture," he asked? Smith, a former union autoworker and current union machinist, won a hard-fought primary election last August in St. Louis' North County, a predominantly African American working class community. "As a union member," Smith continued, "I know tax breaks for the rich and corporations will not create good paying union jobs with benefits, health care and a pension. Tax breaks will, however, make the rich richer." The next day, StLWES members and supporters gathered for a day of workshops and training, beginning with a rousing two-hour political discussion on how best to combat systemic racism and sexism, and the related topic of building union diversity – one of StLWES’s goals – by reaching out to African Americans, Latinos and women. Missouri State Rep. Clem Smith (D-Velda Village Hills), a member of Machinists District 9, outlined the challenges working families face in Jefferson City, where the legislature is currently dominated by far right-wing pro-business, anti-worker politicians. Since 2010, Smith and a handful of working family legislators on both sides of the aisle have had to fight to stave off passage of so-called “right-to-work” and other anti-union legislation. 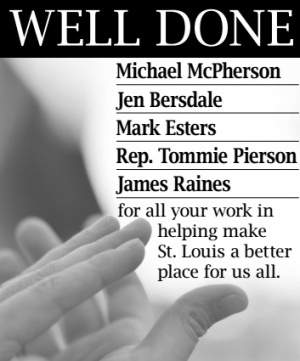 In 2017, Clem Smith, State rep. 85th Ward was an "Institutional Supporter" of the St. Louis Workers’ Education Society. 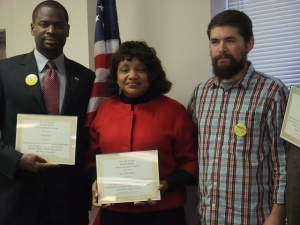 A diverse crowd of 170 gathered at the Painter’s Union District Council 58 hall to honor five labor and community leaders receiving the Hershel Walker ‘Peace and Justice’ Awards Breakfast May 13, 2017. 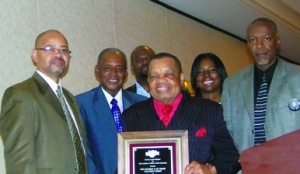 The annual awards breakfast was commissioned to commemorate the extraordinary life of St. Louis trade unionist and civil rights leader Hershel Walker, who dedicated over 60 years to the labor, peace, and justice movements. 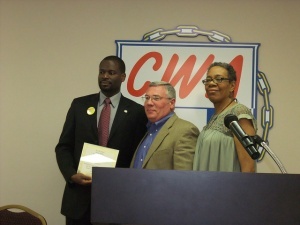 The awards ceremony was hosted by the Missouri/Kansas People’s World and the St. Louis Workers’ Education Society. Members of the Service Employees International Union, Healthcare MO/KS; Coalition of Black Trade Unionists-St. Louis Chapter; IUOE local 148; Laborers’ Local 110; Labor Tribune; SMART Local 36; Painters’ District Council 58; Jobs with Justice; Missourians against the Death Penalty; and Show me $15 attended the breakfast along with: State Representative’s : Peter Merideth (D-80th District), Clem Smith (D-85th District), Cora Faith Walker (D-74th District); 9th Ward Alderman Dan Guenther; 15th Ward Alderwoman Megan Green; 20th Ward Committeewoman Wendy Campbell; 8th Ward Committeewoman Annie Rice; 14th Ward Committeewoman Madeline Buthod; and many others. . This page was last modified on 14 August 2018, at 00:29.